Home / Blog » # Hashtags Anyone? Hashtag this, hashtag that. You hear hashtags all the time, but what exactly are they and how can you use them to increase social media engagement and promote your practice? 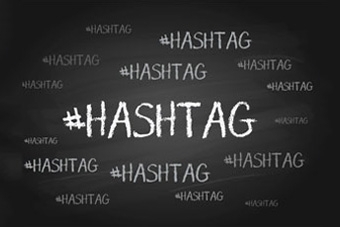 Here is what you need to know about hashtags. 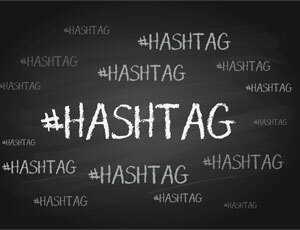 A hashtag is simply a way for people to categorize, find and join conversations on a particular topic. Hashtags turn topics and phrases into clickable links in your posts, so your post will be categorized with other posts about the same topic. When people click on a hashtag, it helps them find posts about topics they’re interested in by showing them a list of posts using that same hashtag. A post using hashtags that are trending can get broader exposure, meaning it will show up in more newsfeeds. Social media platforms typically show you content that is trending. Use this to your advantage. You can utilize trending hashtags to increase the visibility of your post. When you reach more people, you’ll get increased engagement and increase visibility in social media. Hashtags can be just about anything and can help promote your practice. They can be extremely valuable to help people find you on social media. Hashtags can (and should) be related to your specialty or treatments (e.g. #hipreplacement, #jointpain, #infertility), but they can also be more general like holidays, events, headline news stories, TV show, sports, or anything else that may be trending. Think about this – If a celebrity or professional athlete is getting a surgery that you offer, their name and the procedure will likely trend on social media, so you can utilize those hashtags. Hashtags that trended earlier this year were: #love, #me, #tbt (Throw back Thursday), #cute, #follow, #followme, #photooftheday. Keep in mind, you don’t have to limit it to one hashtag per post, you can use a few hashtags within a single post, just make sure they’re relevant to the post. Start creating content and planning your social media calendar in advance to take advantage of hashtags and ensure posting consistency. Creating content 1-3 months ahead of time will help you identify hashtags that may be trending. See some hashtag examples in our Healthcare Marketing Calendars.